We love chicken, most people do or there wouldn’t be so many ways to prepare it. I have a great honey soy recipe and when I saw this one I was on the fence. My family loves honey, but the recipe, at first glance, seemed too similar to the one I use. Then my friend Allison posted about it. That’s when I knew that I had to make this dish. Allison used chicken thighs, but since I’m not a fan of dark meat, I decided to use the whole chicken as the recipe suggests. I was going to keep the chicken whole, but decided to quarter it instead. We loved this dish. It was simple, tasty, crunchy and not too sweet. Any leftover chicken would be great in a pot pie or a salad. I actually poured some of the honey mixture on to the chicken and used a brush to spread it that I didn’t allow in the mixture. There was some extra of the honey mixture that I then served with the chicken as a dip. If you do contaminate the honey mixture, you can follow the directions that Allison suggested on her post. 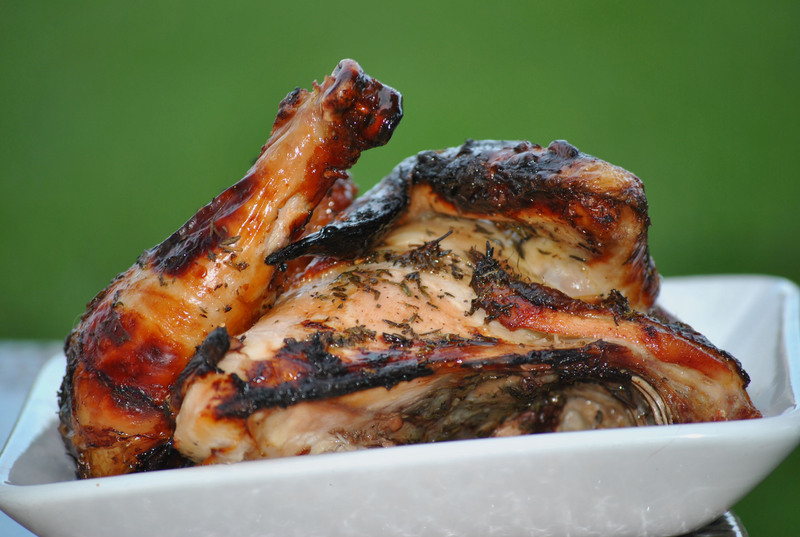 This is also a great recipe that translates well from the oven to the grill. It’s a perfect all year dish. It’s chicken after all. Pre-heat oven to 475 degrees. In a small bowl, whisk together honey, balsamic vinegar, thyme, salt, and pepper. Place 1 whole chicken (about 3 1/2 lbs), cut into 8 pieces (or quartered), on a rimmed baking sheet lined with foil; brush with honey mixture. 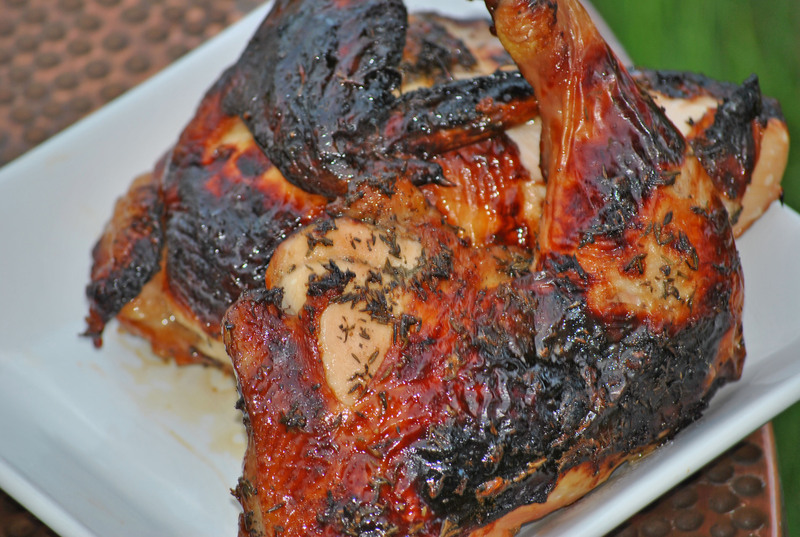 Roast until chicken is deep brown and cooked through, 20 to 25 minutes, brushing twice with honey mixture (do not brush during last 5 minutes of cooking). Meeshie had a half day of school yesterday. And by half day I mean that she was done by 10:30 am. I guess that’s the beauty of a 7:30 am start. 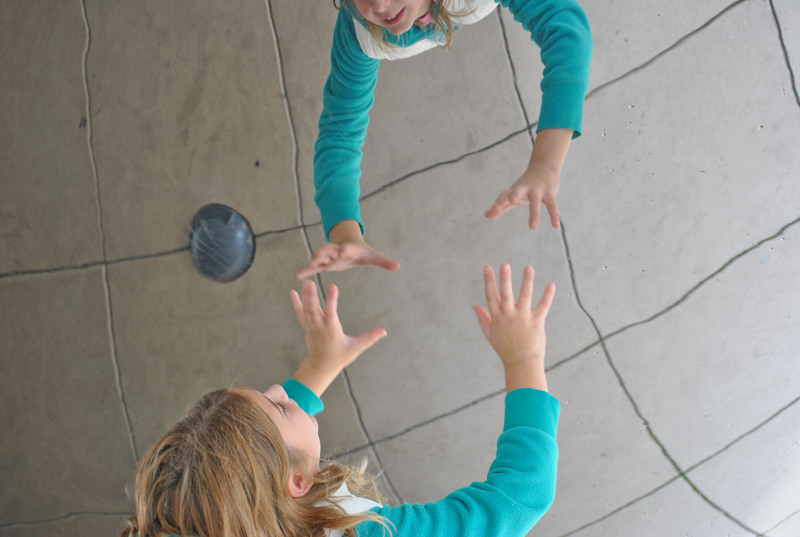 At the end of the school year in June, she asked if we could go down to the bean. 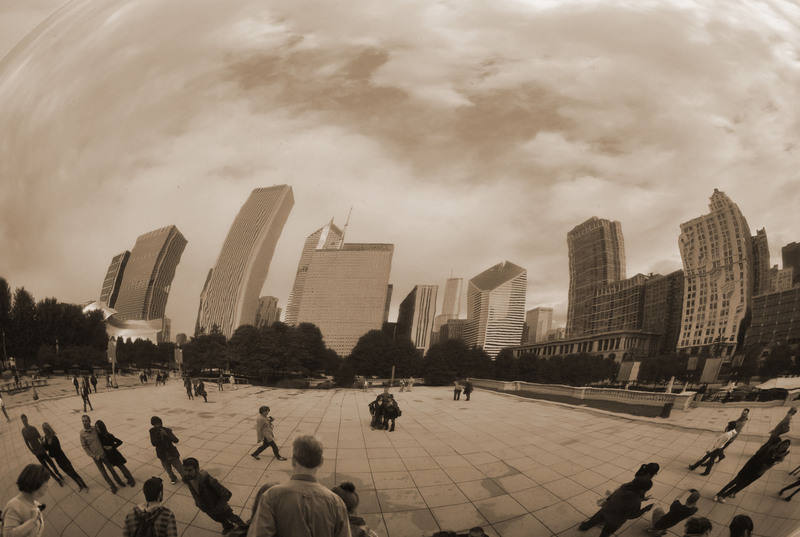 Every trip that takes us into the city of Chicago, seems to circumvent the bean. Do you know what the bean is? Its a metal sculpture in Millenium Park. 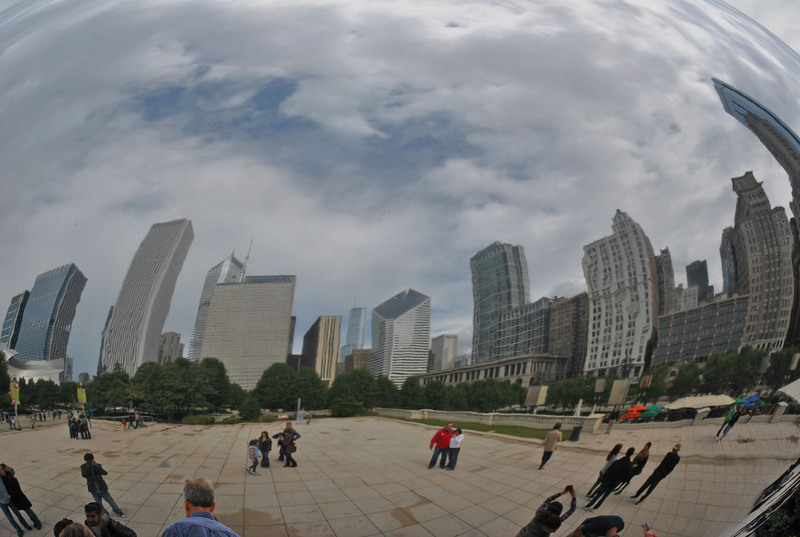 I believe it’s actually called the cloud, but being Chicagoans, we’ve christened it the bean, for obvious reasons. Chicagoans are nothing if not efficient. 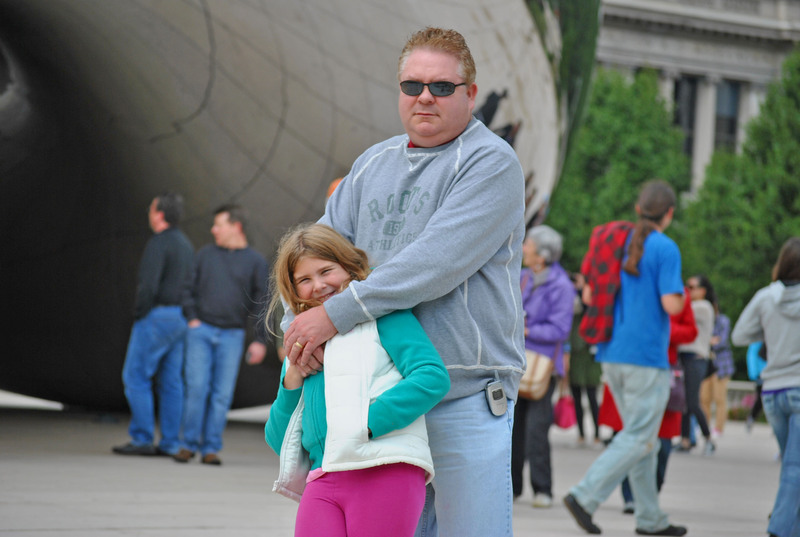 I don’t think I’ve ever shared, but my husband calls our daughter Bean. Sometimes he calls her Bean Machine, or Babba Bean. I’m not sure why he calls her that. And for the longest time we never called her by her actual name, it was either Meeshie or Bean. 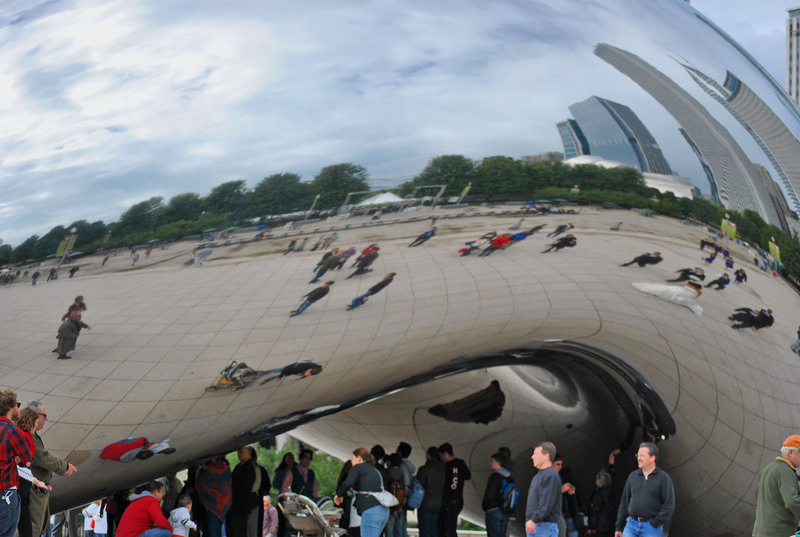 So we’ve always wanted to take the Bean to the bean. Do you see the bride? 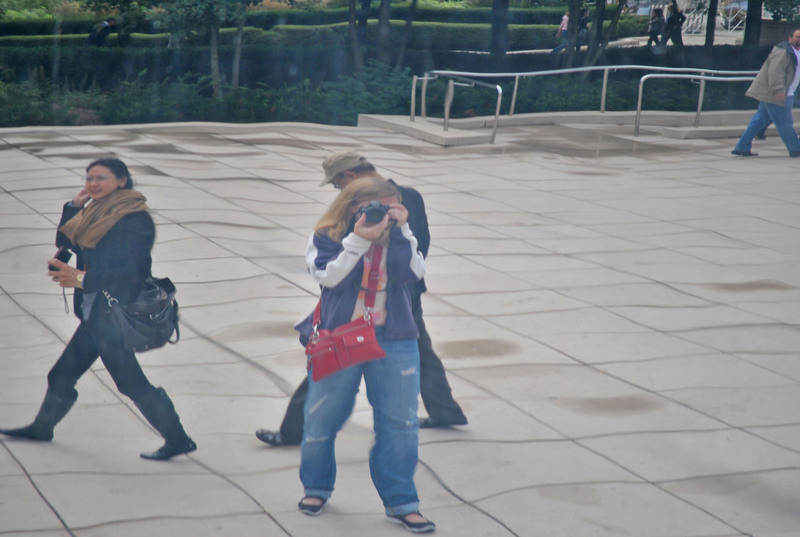 Here’s a picture of me in the reflection. A view of the city. I had a fun summer. One of the reasons it was so fun is because I spent it with great friends. All through the summer the town where I live has free movies that they show in the town green. I know that hundreds of towns across the country do this, but this is the first year we really took advantage. I think we may have missed only one or two movies. Most days, my husband didn’t join us do to obligations at his dad’s house. His dad is in his 80’s, lives alone with too much property and too much house. My husband works fairly close, so during the summer he cuts the grass, during the winter he clears the snow, and during the rest of the year, he’s there doing anything that may come up. So we would pack our blanket, and chairs, along with snacks and drinks and head out. Meeshie loved it because she would sit with her friends, enjoy some snacks and watch a movie. She especially liked the Wizard of Oz because of the goodie bags they passed out to encourage participation. I liked it because it gave me an opportunity to sit with some great friends. We sat in our chairs, had a few drinks, told a few tales, and shared a million laughs. We also swapped recipes. I love swapping recipes, either in person or via the internet. This recipe is one of those that came up in conversation during one of those hot summer nights. As soon as my friend Lisa told me about it, I knew I would make. 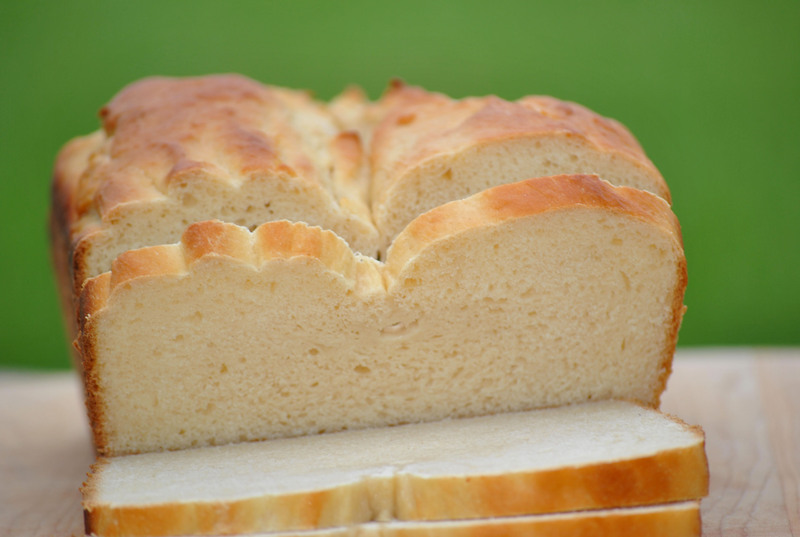 I’ve been waiting for the weather to cool off so that I could add a twist to the recipe by incorporating it into my favorite food, bread. 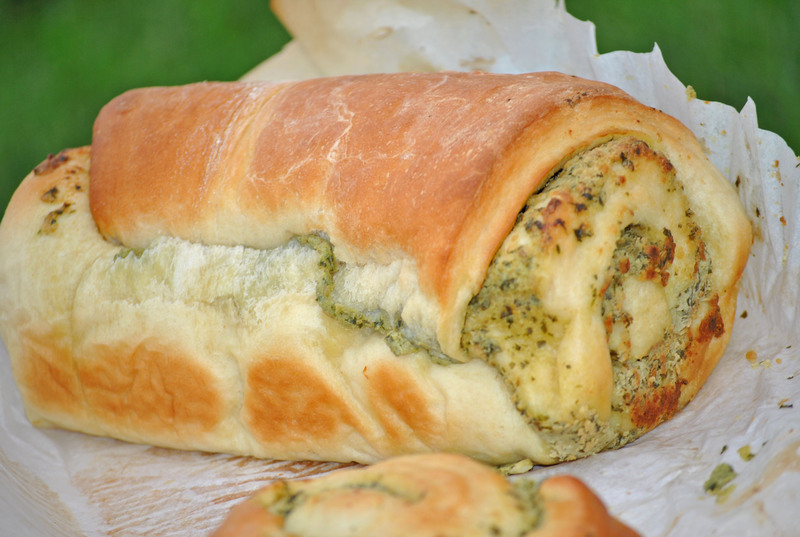 The original recipe is just the pesto spread and it calls for 3 pounds of butter and cream cheese, plus the pesto. With that much cream cheese and butter it seems like it would make enough spread to serve at a wedding reception. So I cut it down to use inside some great crusty bread and there was enough to put aside to enjoy. If you’re afraid of yeast, you can just make the spread to use on bread. The original recipe suggests spreading the pesto mixture on a cookie sheet, letting it chill and cutting it into shapes with a small cookie cutter. Or you can buy the bread dough at the store and follow the directions. Or just jump in and make the dish as directed. You can do it! Pesto spread: Whip the cream cheese in a medium-sized bowl until smooth and creamy, no lumps. Then add the softened butter. Do not over whip or it will cause the spread to be crumbly. Mix in the pesto. Set aside. 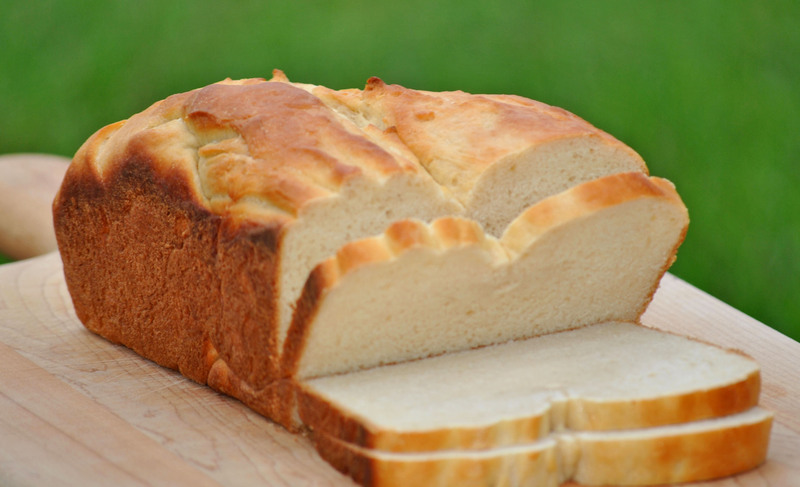 Bread: In a large bowl, stir the warm water, yeast and sugar together. Set aside for about 10 minutes, the mixture will become creamy. To the yeast mixture, add the oil, salt and 2 C of the flour. Stir. Stir in the remaining flour, 1/2 C at a time, until the dough has pulled away from the sides of the bowl Turn out the dough onto a lightly floured surface and knead until smooth and elastic, about 8 minutes. Lightly oil a large bowl, place the dough in the bowl, turn to coat. Cover with a damp cloth and let rise in a warm place until doubled in volume, about 1 hour. Deflate the dough and turn it out onto a lightly floured surface. 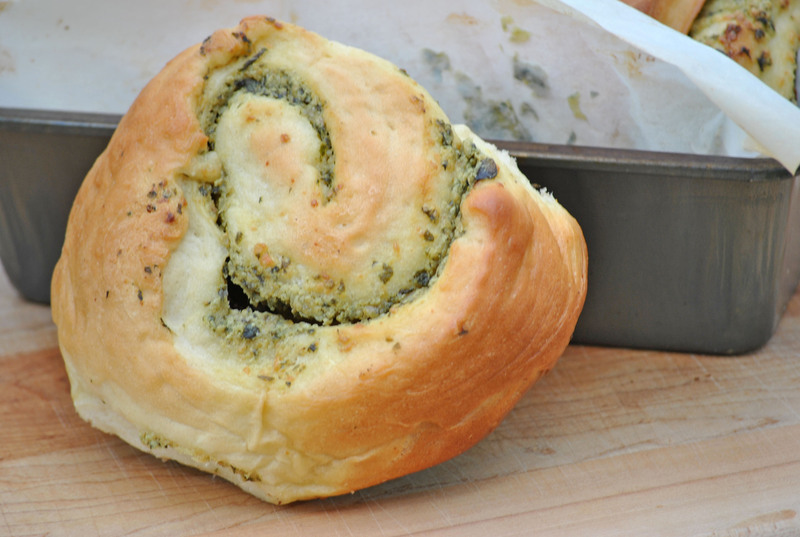 Roll out the dough to about 1/4 inch thick and spread the pesto mixture. You may not use all of the pesto mixture, just set that aside to enjoy later. Roll up the dough as tightly as possible and cut in half. You can place them crease side down in a prepared bread pan, or cut one of the logs up into spiral rolls. If you make the rolls, place them on a parchment sheet lined cookie sheet. Cover with a damp cloth or greased saran wrap and let rise until doubled in volume, about 40 minutes. Bake for 15-20 minutes in a preheated 400 degree oven, or until golden brown. Meeshie has two tests this week. One is today for social studies and the other is on Wednesday for science. She brought the study guides home and I spent much of the weekend drilling her. I won’t help her with her homework, it’s not mine and I’ve already passed that grade, but I will help her prep for a test. My mom came over on Saturday with her boyfriend. She’s been dating him on and off for about a year or so. I’ve actually invited him over for dinner a few times, but he kept backing out. Maybe I make him nervous, except how can that be if he’s never met me? Well they came over and I made the perfect meal for a man straight from Ireland: potato pancakes, pierogi, and kolaczky. I also made two great breads that I plan to share with you later this week. One is sweet and one is savory. Meeshie asked me last week, when the weather was a little cooler, if I would make her some hot chocolate. I laughed. I associate hot chocolate with cold weather, like I’ve just spend serious time outside in the snow cold weather. I wasn’t willing to make her that, but I’ve been waiting to make this wonderful popover. Plus I wanted to send her off with good vibes for her test. This was such a fun and easy dessert. I used muffin tins to cook the popover in. While it was in the oven, my kitchen smelled like hot chocolate. Really, I’m not exaggerating. It was heavenly. The marshmallow wasn’t too much either, I think that’s because the popover itself isn’t overly sweet so there is a great balance between them. Oh, and did I mention I have a rash? Nothing bad, but it started on Friday. It’s under my arms and on the inside of my arms. It’s getting better, but heat is not a friend to a rash. I’ve tried Benadryl, but it just knocks me out. Even though nothing has changed here, I’ve decided not to wear anything on the skin for a few days. Great way to meet someone new, especially after spending time in front of the stove. Oh, and let me just apologize to everyone I’m coming in contact with for the next few days, too. I’m less itchy today, so I’m hoping it will go away as quietly as it came. 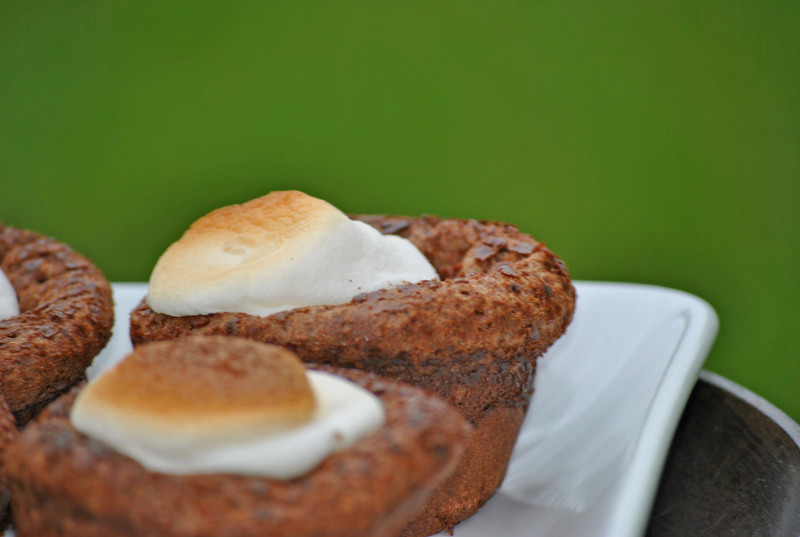 Use a paper towel to generously grease the individual muffin cups, set aside. In a medium bowl, thoroughly whisk together butter, eggs, milk, and vanilla extract. In a large bowl, sift the sugar, salt, cocoa powder, and flour. Pour the wet ingredients into the dry ingredients and whisk until just incorporated and no lumps remain. Pour the batter into the prepared muffin pan, filling the cups one-half to two-thirds full. Place pan in the oven and set timer for 30 minutes. Do not open the oven. After 30 minutes, remove the popovers from the oven and immediately set oven to broiler. 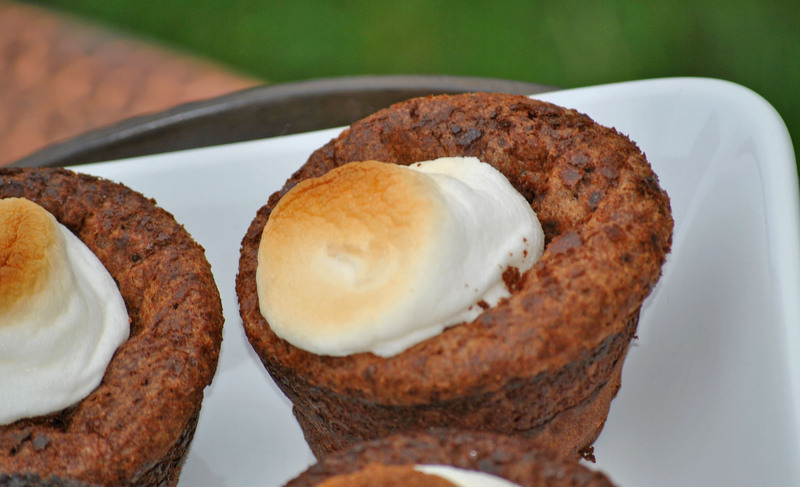 Carefully add a sprinkling (maybe about 5-7) chocolate chips into the center of the popover, and top with a marshmallow. If you have to press the chocolate in and deflate the popover a bit, use the back of a spoon. Place pan under the broiler and keep an eye on the toasting marshmallows. They’ll only need about a minute under the broiler. Feel free to rotate the pan as necessary. Remove toasted popovers from the oven. Let cool for about 5 minutes. Use a butter knife to gently remove the popovers. Serve warm. Popovers are best the day they’re made, but they also freeze just fine. Place in the freezer and reheat wrapped in foil, in a 350 degree oven. Can I share something with you? Here’s the thing about me, I’m a seasonal eater. In the summer I love to barbecue and eat all the fresh fruits and veggies I can. But when the season starts to turn cooler, I get excited. I love to make pasta, and soups, and bake with yeast. Yeah, that’s what fall means to me. All the wonderful things I didn’t want to eat in the summer because of the heat are now my favorite things to enjoy once the temperature dips. Right now the weather isn’t sure what it wants to do, it’s been in the 90’s and then a few days later it’s dipped down to the 60’s. Ah, the midwest is awesome, right? There’s a saying here: Don’t like the weather? Wait 15 minutes and it will change. I love pasta. It’s so simple to throw together and done right it’s pretty healthy. Oh, except if you live with a diabetic, then it’s not a good idea to eat it everyday, even if he wants to. 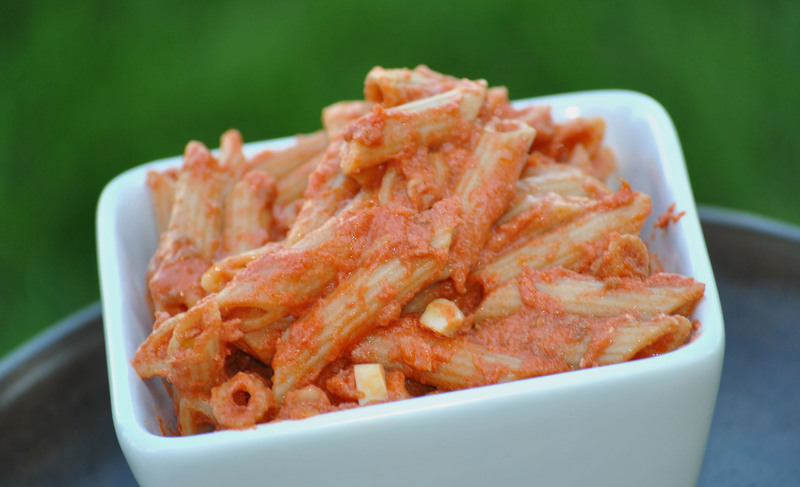 Penne with vodka sauce is one of my favorite dishes. There’s a place that my friend Angel and I go to that has one of the best versions of this dish. It’s a dish that is so simple. Unfortunately, it’s also a dish that can be bad if made incorrectly. I’ve made a version that was so bland that I had a mutiny. But this, this version is heavenly. The key is cooking the tomatoes down to a thick sauce. It allows for a great intense flavor. Heaven. Here’s the post that reminded me how great this dish is. In a skillet large enough to hold the pasta later, combine the oil, garlic, crushed red pepper and salt, stirring to coat with the oil. Cook over low-moderate heat for 2-3 minutes. Do NOT brown the garlic. Add the crushed tomatoes. Stir to blend, and simmer, uncovered until the sauce thickens, about 15-25 minutes. This step is super important. The sauce needs to thicken for the flavors to intensify. So the amount of time you cook it is less important than the consistency. Taste for seasoning. 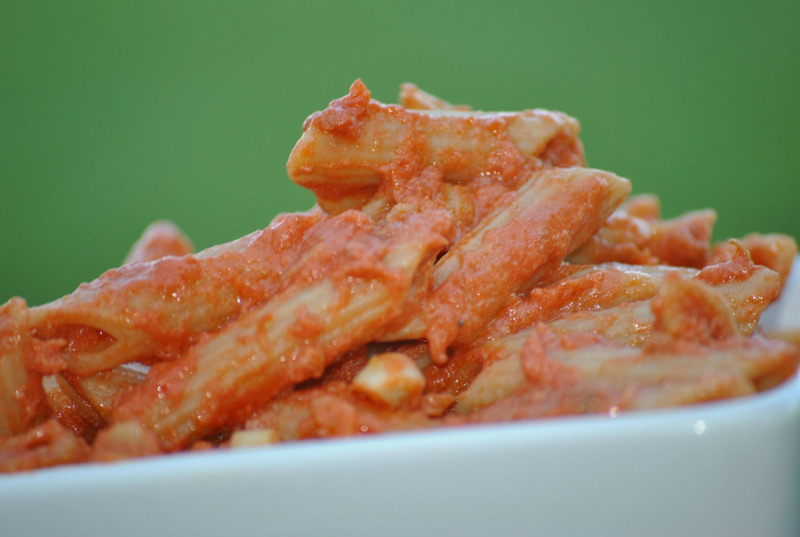 In a saucepan, bring 6 quarts of water to a rolling boil, add the penne. Stir to prevent sticking and cook until al dente. Drain thoroughly. Add the drained pasta to skillet with the tomato sauce. Toss. Add the vodka, and toss again, then add the cream and toss. Cover, reduce the heat to low, and let rest for 1 to 2 minutes to allow the pasta to absorb sauce. Sprinkle with parsley and serve. I’ve made a new friend. Her name is Allison, but I’ve never actually met her. I think that’s thing I love the most about blogging. You have an opportunity to meet new people who live somewhere else. She happens to live outside of Raleigh. I’ve never been to that part of the country-yet. Allison is an amazing cook, and has been making quite a few recipes from the special edition of Everyday Living Magazine. I’m hoping that if I play my cards right, she’ll make all the recipes that I’ve had my eye on without having to deal with the trial and error. That’s what friends are for, right? She’s already made some chicken (yum), cookies, and a great drink, in addition to this great side. She’s such a hard worker! I can say, that I do love the sides in Everyday Living (thanks Cathy). I’ve made a few of them and have never been disappointed. This side is no exception. I was lucky enough to get an eggplant from my neighbor. I served this with some Salisbury steak and mashed potatoes. So good. I thought I had a chickpeas in the pantry, but must have used them to make humus. That’s another great thing about this recipe, it’s so adaptable. 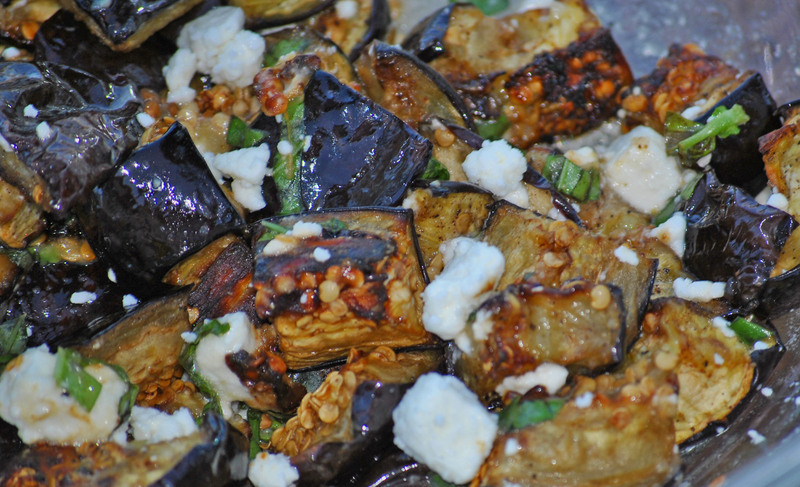 Plus, I only had one really large eggplant, so I scaled down the amounts slightly. Still an impressive side that took almost no time to make that everyone enjoyed. Rinse chickpeas under cool water. Set aside. 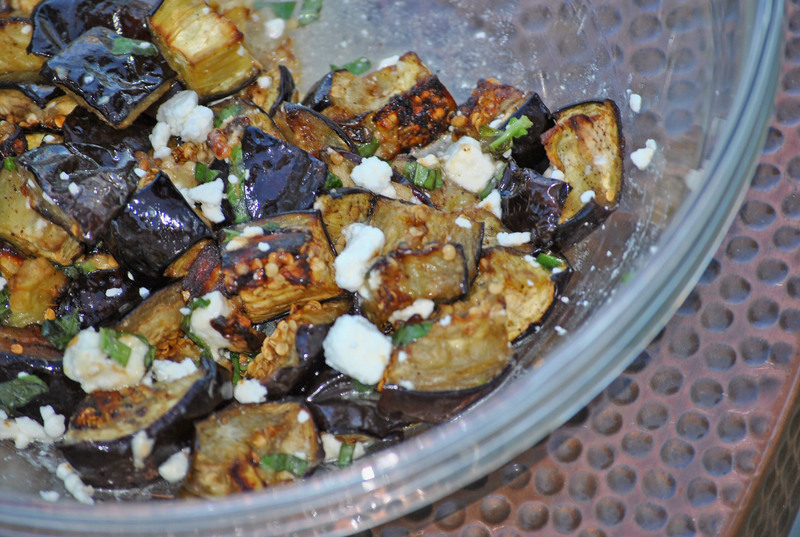 Cut eggplants into 1 1/2-inch pieces. Line two baking sheets with parchment paper and spread the eggplant between the two. Toss with 3 T olive oil, salt and freshly ground black pepper. Roast in a 475 degree oven 25 to 30 minutes; stirring once. Let cool on baking sheets. Add the juice of 2 lemons, 2 T olive oil, chickpeas and feta cheese to a large mixing bowl. Add cooled eggplant and chopped basil and toss. Add Kosher salt and freshly ground black pepper. Taste and adjust seasonings. 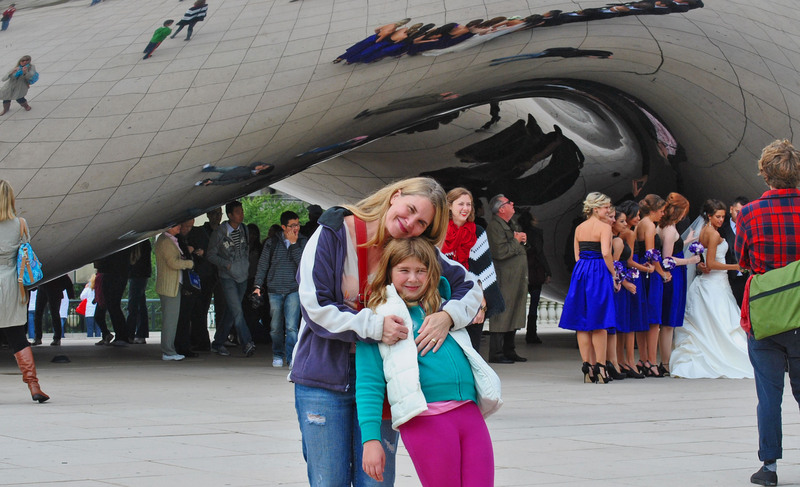 You are currently browsing the Meeshiesmom's Blog blog archives for September, 2011.